Welcome to The Gadget Professor Show #389 hosted by Don Baine. [SPEC]: Input:100-240V, 50 – 60Hz. Output:DC 15V/16V/18.5V/19V/19.5V/20V, 30W/33W/40W/45W/60W/65W/70W/75W/90W max; USB port:5V/2.4A max (2A,1.5A, 1A,0.5A,0.4A…compatible),12W max. [PORTABLE]: 0.7″ thick Ultra-thin design + Outtag unique detachable DC cable + L-shape durable connectors. More handy for indoor or travel use, highly recommend for business and ultrabook. [5V USB Port]: great for powering other device (like your iphone, ipad, ipod, cell phone, tablet, power bank, Mp3, Mp4 and many other 5V devices at the same time while powering your laptop. 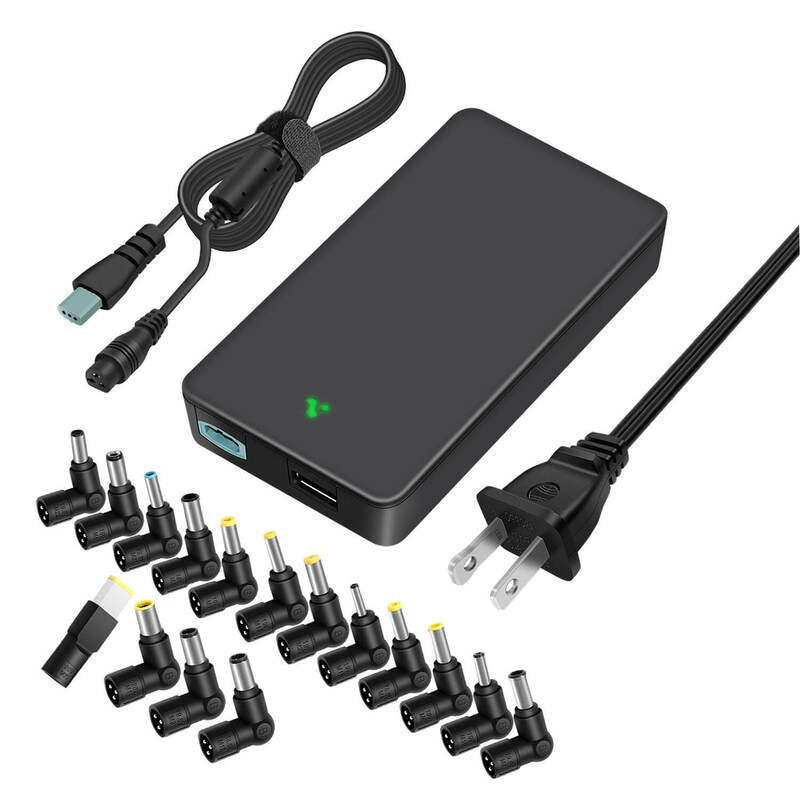 [PACKAGE]: 1 x 90W Universal laptop charger, 1 x US plug AC power cord, 1 x 4ft detachable DC power Cord. 16 x pop tips. 30-Day Money Back Guarantee and 12 Months warranty, if you have any query, just feel free to contact us.